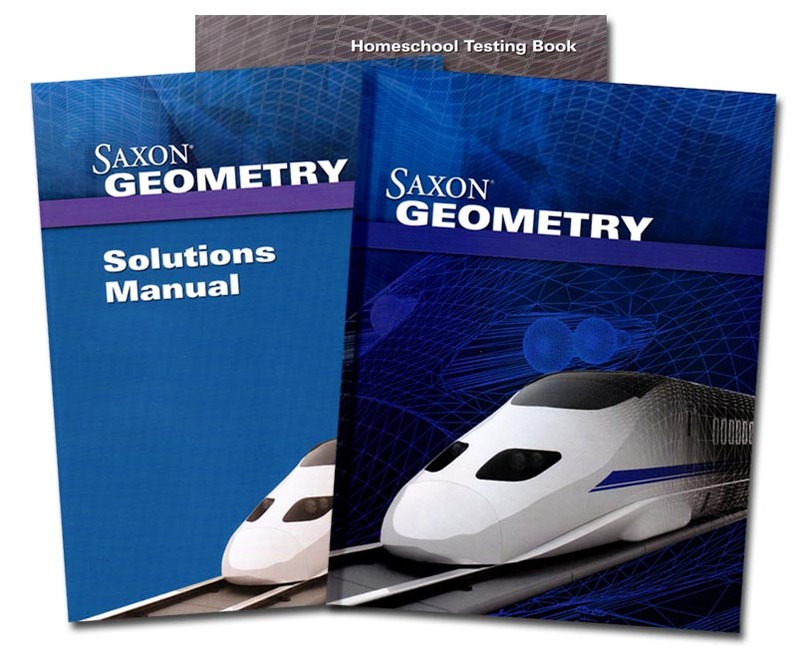 Saxon Geometry includes all topics in a high school geometry course, presented through the familiar Saxon approach of incremental development and continual review. The Homeschool Kit includes the Student Textbook, with 120 Lessons, 12 Investigations, and 15 Labs, the Solutions Manual, with step-by-step solutions to every problem in the book, and the Homeschool Packet, which includes Test Forms and Test Answers. The Geometry (1st ed) DIVE Into Math CD and the Saxon Teacher Geometry (1st Ed) are now available.